Tomorrow (August 19), Maps (a.k.a. 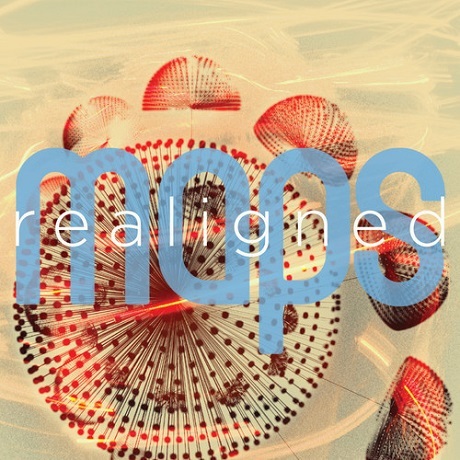 Northampton indie electronica artist James Chapman) issues his new Maps Realigned remix LP, but if you can't wait another day, you can now stream the whole thing online now. The record, delivered through Mute , finds revamped versions of tracks from Maps' three proper LPs: 2007's We Can Create, 2009's Turning the Mind and 2011's Vicissitude. This includes M83's previously issued redo of "To the Sky," Vicissitude's vinyl only Andy Stott remix of "I Heard Them Say" and contributions from DJ Steve Lawler and Paul Woolford. While many of the re-imagined cuts had been issued in one form or another over the years, Maps Realigned does feature exclusive cuts as interpreted by Free School ("Built to Last") and Eule ("A.M.A."). You can stream all of it in a continuous mix down below.